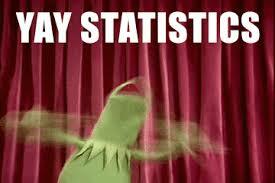 My fascination with Statistics slowly developed into a passion for two reasons. Firstly it can be considered as much an art as a science because of the requirement for high levels of interpretative and intuitive skills, which I believe that I possess, and secondly because it provides the basis for every decision made by any government, NGO or business. I always wanted to maximize the utility of my skills and consider that Biostatistics is, and will be, the means of me doing so. To be able to provide information on matters, sometimes quite literally, of life and death is a privilege and my aim is to add to the sum of knowledge in this vital specialism through work and research and to enable others to do so by passing on the skills and knowledge that I have and those that I intend to acquire. I have my heart set on attending your Master's Program in Statistics at the University of XXXX primarily because of the sheer excellence of your program and the diversity of interests of your faculty. From methodology through machine learning, biostatistics, and probability, your faculty at the University of XXXX is especially outstanding in interdisciplinary research areas that are related to my own interests and passions: genetics, mathematical finance and econometrics, environmental statistics, pattern recognition, scientific computation, and survey methodology, etc. I am drawn to the U of X’s unique blend of theoretical excellence and an applied focus on the cutting edge. 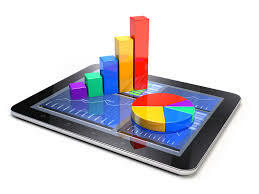 I appreciate the way in which Master’s students are fully integrated into the academic activities of your department, alongside the Ph.D. students, and the fact that all statistics courses are open to Master’s students, allowing us to program and tailor our own curriculum to some extent. I very much appreciate the way in which your Master’s in Statistics Program at the U of X has several constituent parts, which fit together very well to form a most comprehensive educational curriculum that covers all the bases from theoretical to practical uses. I seek broad-based exposure to the cutting edge of research through regular attendance at seminars and enrolling in special courses. Thus, I also appreciate how your department runs a consulting service for researchers in other departments in the University. I look forward to engaging quickly as a consultant, working as the quantitative expert to solve important research problems of our day in many areas. I am at my best as part of a team working under the supervision of faculty members. I am very keen to begin studying at the U of X so as to have the prolonged opportunity to study a complex problem or challenge in depth and being coached along by my faculty advisor. I am particularly looking forward to studying under Professors Zheng (Tracy) Ke because of his pioneering work with graphical models, and Dan Nicolae from whom I hope to learn as much as possible about Bayesian Models. My internship experience with XXXX Stock Company, the biggest stock company in China, helped to cultivate my drive, and ability to perform highly successful, self-directed research, assisting our manager in analyzing the Shanghai stock market, discerning potential changes in stock prices, and creating investment plans. Challenged to analyze the future movement of securities and learn from outside resources, such as Japanese Candlestick Charting Techniques and The Intelligent Investor, I learned to merge the knowledge that I derived from books with my own perspective on applied math and statistics. “Knowledge itself does not work out”, my supervisor told me: “You have to structure your own method”. For my final project, I researched market data for 10 typical companies’ shares over the past 15 years. This was my first experience applying statistical models in a practical environment. I developed a model to measure the effect of interest rate, investment environment, industry outlook, government spending, and fluctuation of the company’s financial status, on a share’s price. My investment plan for a millionaire client, which I created using this model, was approved by all five examiners and adopted by the company. As a student of Applied Math as well as statistics, I am a rigorous thinker adept at the use of mathematical tools. In preparation for entrance to your program I am already heavily immersed in the literature concerning computational statistics, data analysis and inference, and linear programming. I feel like I am a strong candidate for your program because of my extensive preparation in this area and the way that I have distinguished myself as a student so far. After completing your degree, I will need to find an employment position for economic reasons. But, I am convinced that there is no finer foundation upon which to establish myself for the future, so that I can apply later to a PHD program and continue my education to the terminal degree. A stellar student, I am certain that I can excel in your program at the University of XXXX. I will be finishing my undergraduate studies in Applied Mathematics at the University of California in San Diego this coming June and currently hold a 3.75 GPA. I am also employed by the Mathematics Department at UXXX serving as a Grader for upper division courses and homework as well as a tutor for students in lower division Calculus courses. 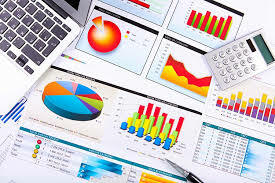 I am very much looking forward to the fullest and most creative immersion experience possible in real world applications of Statistics and I see the U of X as the best choice. I seek to contribute to the advancement of both science and technology and I see Statistics as the bridge between the two, as well as the motor that drives both of them. My central professional goal is to become a professor/researcher at the University level in Statistics with special consideration to the relevance and utility of our field for human and economic development, particularly in my native China. 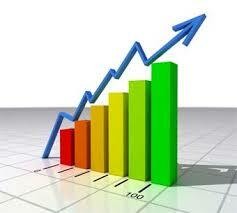 There are a growing number of critical issues in China which will be better resolved with the help of Statistics. One especially salient example is traffic and the hope for advances being made in intelligent transport control. Nowadays in China you can find traffic jams in every city, especially in my hometown Hangzhou. It is not uncommon to spend 40 minutes driving 5 miles in Hangzhou. Even ambulances cannot get through the traffic. Thus, it would be a special privilege for me in the future to work in the area of better estimating the evolution of traffic flows. 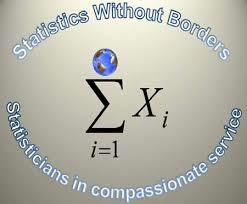 I am very much excited by the fact that the more I learn about Statistics, the more connections I see for harnessing its power to make life better for all, especially by better protecting our environment. I have always firmly believed that accountability and a deep sense of responsibility to students are essential to being an efficient grader and/or tutor. In this quarter I am serving as an advanced linear algebra grader. Frequently, I find myself engaging in extra, sometimes time-consuming work on behalf of my students. I could not be more careful when grading homework assignments and providing precisely the feedback desired by the professor. I also invest a lot of energy in learning as much as I can about the challenges faced by students so as to help the professor prepare increasingly effective class materials; and this is especially true when the most difficult concepts or proofs are involved. For example, on the last homework assignment that I graded, I noted that many students tended to become confused concerning how to relate Herniation, real symmetric, real orthogonal, and unitary operators, so I made sure that I provided this feedback to professor. The professor thanked me for my feedback and spent extra time on this material in the next class. I do find grading to be challenging at times, especially when I am grading proof-based homework problems which have many possible solutions since the professor only provides me with one single answer for these problems. I treat these kinds of challenges as an opportunity to deepen my own understanding of linear algebra, and if there is anything that I do not fully understand, I research it before proceeding. I most enjoy both grading and tutoring, always seeking to build connections between different concepts related to both Calculus and Linear Algebra; always searching, in particular, for increasingly effective ways to explain these connections to students. I thank you for your consideration of my application. 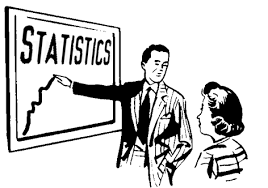 What's it like to study Statistics? Ask Bing! My biggest motivation for pursuing a Master’s degree in Statistics is that I want to have more exposure to statistical theories that serve as a basis to scientific work we encounter everyday. For example, why do experimenters randomly assign subjects to either a control or experimental condition group? Learning about the design and analysis of experiments helped me to better appreciate the power of randomization. With the presence of unknown but potentially important explanatory variables, proper randomization of treatments to experimental units at the design stage is essential in the sense that it tends to balance these variables, facilitating meaningful statistical analysis. I am even more intrigued by randomization-based inference, which justifies the independent normal random errors assumption usually made with the standard statistical model. I hope to have the privilege of doing research in the field of ‘statistical theory’, including the development of new theories to validate statistical procedures that serve to accommodate new data structures and enhance the scope of applications. I also look forward to developing nonparametric methodologies for statistical learning applications and justifying new statistical approaches for the design of experiments. This year at the University of XXXX, I work as a Teaching Assistant for STAT 200 (Elementary Statistics for Applications) and STAT 302 (Introduction to Probability). I enjoy very much serving as a Teaching Assistant and look forward to returning to teaching at some point in my career. I like guiding and helping people and this is why I joined the UBC Peer Program and became a Science Peer Academic Coach. I also served as a math tutor for an elementary school student as part of Learning Buddies Network. The fact that I have earned scholarships to pay for my education so far and have been selected to serve as a Teaching Assistant while still an undergraduate student, helps to instill me with great confidence that I indeed have important contributions to make to our field, Statistics and its applications. I have been at UXXnow for four years and I am already familiar with everything so that I can devote myself 24/7 to graduate school. I seek a thoroughgoing research experience and hope to do an especially innovative thesis project. I also appreciate how UXX hosts weekly seminars that I can attend to get additional exposure to what is happening on the cutting-edge of our field. I am especially excited about the prospect of taking STAT 460 and STAT 461 since I am eager for a full immersion experience in detailed theoretical development along with statistical models and inference. I thank you for your consideration of my application to graduate studies in Statistics at the University of XXXX. In August of this year, 2016, I started the PHD Program in Biostatistics at XXXX University. Now, I realize that the program is not a good fit with my long term professional interests because the focus of the program is on bioinformatics, biological engineering, and genetics. 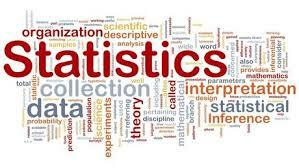 My interests are more theoretical and I seek a more general, thoroughgoing and rigorous program in statistics and its applications that is not so dominated by Biology and Engineering. My first choice is the University of XXXX for a variety of reasons including the most convenient location and the sheer excellence of your faculty, along with the broad-ranging nature of your PHD curriculum. XXXX is an academic environment that is challenging but also supportive, providing students with a lot of important resources for their future success. I am especially interested in statistical computing: combining traditional skills in statistics with cutting-edge computational tools such as Markov Chain, Monte Carlo, exploiting the data to improve accuracy, ensemble learning and bootstrapping. I seek the fullest immersion in the study of methodology classification and the combination of models, using regression, in particular, as an alternative solution to model selection problems. I look forward to a long professional lifetime labouring to improve convergent rates by using resampling techniques. I seek to contribute, as a Statistician, to the fight against chronic disease and the advance of science and industry generally speaking, including but not exclusively bioengineering. 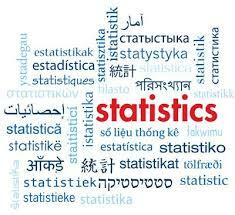 I earned my Master’s Degree in Mathematics at XXXX and it was there that I fell in love with Statistics. Right from the start when Professor XXXX explained the inference of central limit theorem by moment generation function, I found myself profoundly charmed by the beauty of this subject. 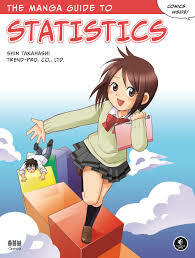 Soon, I joined the American Statistical Association and was reading everything that I could find on the subject. My graduate studies in Mathematics and my experience at XXXX so far will enable me to hit the ground running in your program at XXXX. My foundations include: Mathematical Statistics, Topology and Real Analysis, based on measure theory, Regression and Multivariate Analysis, and Bootstrapping, taught by my thesis advisor Professor Majid Mojirsheibani. Numerical Linear Algebra and Numerical Optimization not only required rigorous theoretical proof but also intense programming skills in Matlab and Python, excellent tools that will help me to excel at XXXX. Some of the brightest and most joyous moments of my life have been when I served as a Teaching Assistant in the Department of Mathematics at XXXX. In May 2016, I graduated as a recipient of the Outstanding Academic Achievement Award given to the top 4 graduates in Mathematics. I am interested in data science for several reasons, prime among them being my current academic background. I studied Economics and Mathematics in college. Analytical and logical thinking are the two most precious skills I developed from studying theories and driving formula. However, neither of these two fields satisfies my increasing curiosity about applications that are useful for the general enhancement of humanity - as well as good for business analytics. 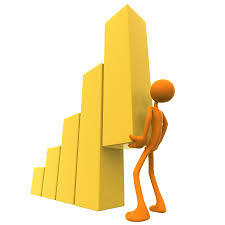 Thus, I am hoping to be accepted to an MPS Program in Applied Statistics and to focus my attention on Data Science, continuing to hone my statistical and computational skills, so that I will be able to better understand and solve social and business problems by uncovering patterns and trends in data. 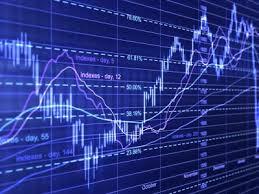 It was my Financial Econometric class that first helped me to begin to grasp the big picture with respect to data. The relevance of data was obvious and immediate, as it serves as the vehicle of financial models. This inspired me to take a Data Programming class in my senior year and experience the sheer joy and power of being able to extract understanding and insight from a mass of data. This class was taught with Python, and I have completed several interesting projects with this program, including the implementation of a collaborative filtering recommendation system for suggesting friends on Facebook and replicating statistician Nate Silver’s results by using polling data to predict the outcome of the 2012 U.S. presidential election. One of the projects that I most enjoyed was my analysis of crime in Chicago during a given year. I proposed questions that I was most curious about, and wrote the algorithms so as to better understand where crimes happen with the most frequency, in which parts of Chicago, and why. I visualized my results with charts and maps. I was left in awe by learning about how many applications there are for data, specifically what it can do in so many different areas. After graduation, I joined a data-oriented software company, XXXX Inc. This company focuses on improving sales channel efficiency for Original Equipment Manufacturers (OEMs) by integrating data from hundreds or even thousands of partners into one single system, which can be used to feed all related functions and reporting. My job, as a Sales Channel Analyst, was primarily to help my clients in manufacturing to manage and process their data, communicating the clients’ requests to the IT department to design a module or feature to achieve their goal. I learned a great deal from this professional experience and came to much better appreciate the way that, in the real world, data is seldom clean, and traditional technologies, like Excel, are no longer adequate for handling big data. My workload was frequently repetitive and consisted of a lot of manual work. For example, processes that were supposed to be automated were stopped by exceptions, which could be easily detected and resolved by humans but not machines. However, I believe that these manual processes could be eliminated by the use of machine learning and other data science techniques. 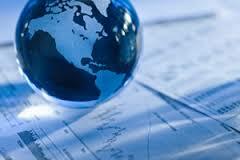 Therefore, I made up my mind to pursue a Master’s Degree in this area. 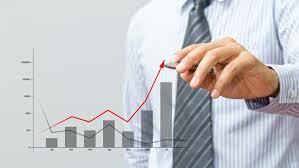 My short-term career goal is to help enterprises solve business problems and improve consumer products. More specifically, I want to develop data analytics tools which improve operational efficiencies and helps companies identify their most valuable customers. However, in the long term I want to dedicate my professional life to helping society at large, focusing on humanity rather than corporations. First, I would like to contribute to the improvement of translation software by using machine translation (an aspect of machine learning) to help immigrants or travelers who do not know local languages. Second, my hometown in China has been facing serious pollution problems that represent a very serious danger to public health. I want to realize the potential of big data, such as meteorological data, to help resolve Chinese energy and environmental issues.This will probably be my foremost contribution. 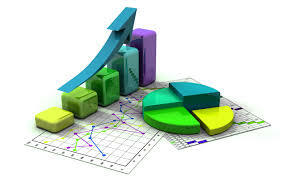 The MPS in Applied Statistics at XXXX University is my first choice for graduate school, because the focus of your program will best prepare me for my own professional interests. I have been studying mathematics and economics for the most of my time in college, which has provided me a solid quantitative foundation for studying data science. 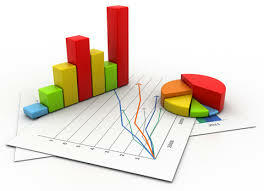 However, in order to become a cutting-edge data scientist, I need to become especially adept at statistics, and more importantly, learn everything that I can concerning its application in real-world scenarios.The MPS program emphasizes on practical application of statistics, and meanwhile equips students with solid theoretical knowledge foundation. The two-semester data analysis project will be greatly helpful in improving my understanding about applying statistics into real-world and my team working ability. In addition, the MPS program offers a large range of elective courses regarding to the topics that I’m interested the most, such as machine learning, big data management, and high performance computing. I believe these courses will strengthen my computational skills, which are central to my career development. Studying at a selective, and highly regarded school like XXXX, would give me the best social environment and collaboration opportunities which are central to my personal as well as professional development. I like discovering new things and facing difficult challenges. I have a strong quantitative background, and I could not be more dedicated to constant, lifetime learning and the search for creative solutions. I have developed advanced communication and teamwork skills as a result of my work with Entomo, coordinating between departments and between our company and customers, translating goals and priorities for our IT team. With my quantitative background, natural curiosity, desire for learning, and advanced communication skills, I am most confident that I will be able to succeed in your program. I thank you for considering my application to MPS in Applied Statistics at XXXX University. My educational opportunities were limited in the small town in India in which I was born and lived for most of my life. However I am the son of a third generation teacher and was taught that hard work, determination and natural aptitude can overcome any barrier in education, and so it has transpired. 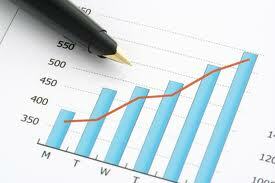 I love mathematics and am fascinated by its applications to the world of business. My interest and skill was encouraged at school and I spent much of my time, with the help of my teachers, creating shortcut formulae to complex mathematical problems and found enormous satisfaction doing so. From an unpromising start, I gained a place in the top five in the Bloomberg Aptitude Test and now consider the ‘sky to be the limit’. My long term goal is to undertake research and to teach, to share my passion and turn educational consumers into producers.